The Google Pixel 3 XL is far from what many would consider an edge-to-edge. The Google Pixel Ultra, on the other hand, turned out to be just a bunch of rumors. But now, as revealed by a newly-granted patent, it seems the internet giant may finally be working on its first all-screen smartphone. Taking a look at the sketches, the device described replaces Google’s typically-large bezels and stereo speaker setup with an edge-to-edge panel that features non-existent side bezels, no chin and, more impressively, no notch. This would suggest the internet giant is toying with the idea of multiple under-display sensors such as the front-facing camera – no slidable mechanism appears to be present either. Over on the rear, the smartphone in question retains the single-camera setup and dual-tone construction which Google has become known for. 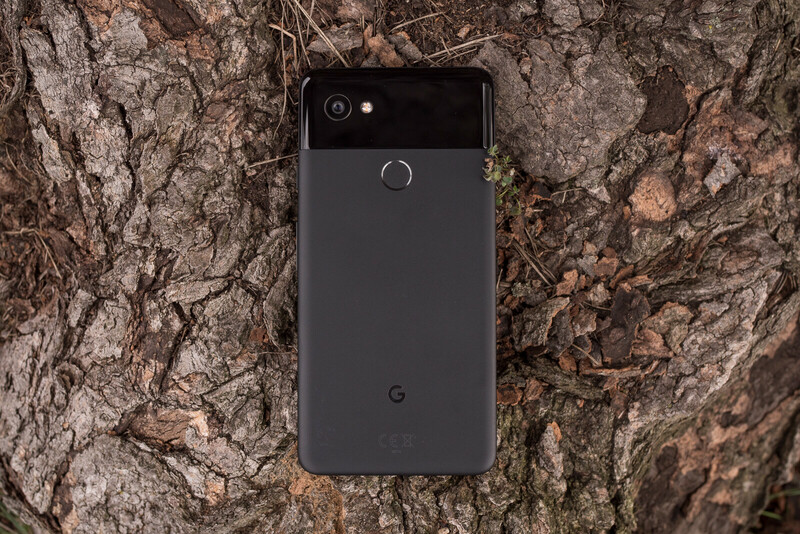 In fact, the device’s rear design appears to have been based on 2017’s Google Pixel 2 XL, thus indicating that the original patent was filed prior to the Pixel 3’s arrival. Unsurprisingly, no internal characteristics are mentioned. As this is simply a patent at the moment there’s no guarantee Google will ever produce an all-screen smartphone such as this one. Nevertheless, the filing does suggest that the idea is on the table. So, perhaps the Google Pixel 4 will be the all-screen flagship everyone has been waiting for. Please don't play with my emotions Google. We've been let down already. I hope it's a slide up design for the front (selfie) cameras. I hope so too. And no screen embedded fp scanner. I agree, Pixel 3 is one of the best phones I ever had. To be more specific...my comment was for the Pixel 3 XL. If I'm looking at it correctly, it seems to be a slider model. heres what will happen. since it seems the smaller models have just been a compact version of the last years XL model. Pixel 4 XL will have the radical design change. Pixel 4 (small) will have a notch and theyll come up with some excuse about the flux capacitor wouldn't fit without it. The Pixel line is an expensive replacement for what is essentially still a Nexus device. Blazing fast and good camera, yes, but packaged in some of the worst designs in the smartphone world. Big bezels, big notch, and big price. Call me shallow, but I refuse to be the guy who uses the ugliest device in the room. No one would buy the ugliest car on the lot just because it has a great interior and powerful motor, but Google expects different behavior when it comes to their smartphone line. I doubt you've ever picked up the pixel 3, nor do I believe you have ever actually seen one in person, because the phone itself is elegant. There is nothing particularly ugly about the pixel 3 for those who actually had the opportunity to put one in their hand. I'm not quite fond of the new Honda Accord's styling, quite frankly they are ugly to me, they look extremely bloated, but that's all subjective. The masses will disagree with your statement however because the phone itself is selling quite well. Anyway, Google's software is technically Superior to the iPhones (iOS) in many ways. If you want to have a debate about that we can. It's 2019 and the iPhone still isn't capable of true multitasking. How is that possible with the so-called world's most powerful silicon inside of it ? who just looks at a phone and not use it??? that person that has the ugly car is on the inside enjoying a powerful motor passing you by! This is just the Pixel 2 XL... the filing date on the drawings is the 28th September 2017. I would post direct links to the patents but I cannot since my account is less than 7 days old. The Pixel 3 is the best smartphone I've ever used! Though, I'm not a fan of Google's shenanigans, the software, camera, and hardware are all TOP-NOTCH!!! updates are fast, OS is buttery smooth, I've yet to have a single hiccup with the OS. It operates as well as any iPhone I've ever used! And i've owned the latest iPhones for years and must say that so far I've had less issues with my Pixel device than I did with my iPhones. You really have to own one to understand just how good this thing is. When iPhone Arena puts the iPhone above the pixel 3 I laugh because the bias is extraordinary. But when you're being bankrolled by Apple you understand why.